Our range of products include square bar. Length for Square Bars 10mm upto 6000mm depending on material grade & size. Test Certificate NABL Government approved laboratory reports can be provided. Jayant Impex can offer VACUUM DEGASSING (VD) route Square Bars, Round Corner Square Bars (RCS), Sharp Corner Square Bars (SCS), Black Square Bars, Bright Square Bars, Rolled Square Bars, Forged Square Bars, Cold Drawn Square Bars, Normalized Square Bars, Annealed Square Bars, Heat Treated Square Bars, Quenched (Hardened) & Tempered Square Bars. Length for Square Bars: 10mm upto 6000mm depending on material grade & size. Square Bars End Finish: SHEARED / BANSAW CUT / HOT- CUT WITH GRINDING/ Water Jet Cutting. From Jayant Impex Pvt Ltd, India, Maharashtra, Khopoli, Mumbai client can avail VACUUM DEGASSING (VD) route Square Bars, Round Corner Square Bars (RCS), Sharp Corner Square Bars (SCS), Black Square Bars, Bright Square Bars, Rolled Square Bars, Forged Square Bars, Cold Drawn Square Bars, Normalized Square Bars, Annealed Square Bars, Heat Treated Square Bars, Quenched (Hardened) & Tempered Square Bars. Client can procure smaller quantities of Square Bars online ready stock from us at premium cost in any destination by just sending us an email. 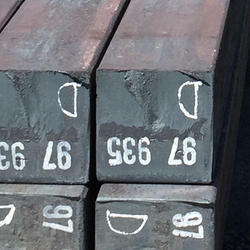 If any requirements for Square Bars, Round Corner Square Bars (RCS), Sharp Corner Square Bars (SCS), Black Square Bars, Bright Square Bars, Rolled Square Bars, Forged Square Bars, Cold Drawn Square Bars, Normalized Square Bars, Annealed Square Bars, Heat Treated Square Bars, Quenched (Hardened) & Tempered Square Bars kindly do contact us. Looking for Square Bars & Rods ?